The new Barno website moved away from the previous catalogue-style, taking them back to what they are brilliant at. Bespoke solutions. 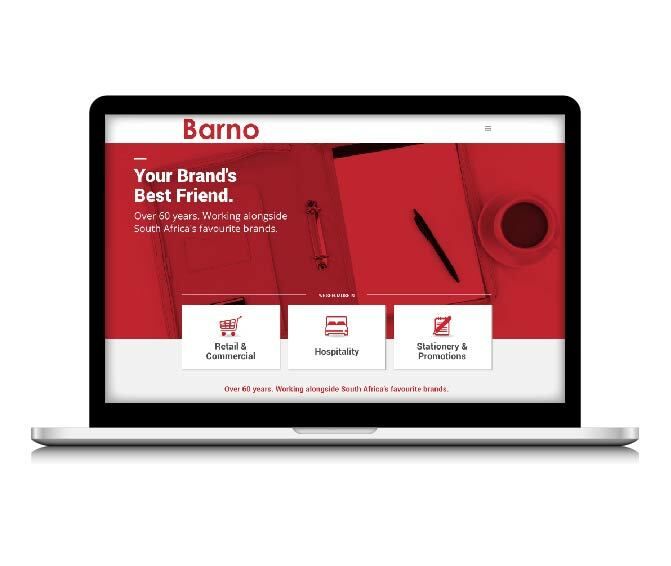 For over 60 years, Barno has partnered with SA’s top brands. In the process, we came up with a new strap line for Barno. Your brands best friend.